The 2018 season starts April 7th. : State College Area High School [Opens in New Window] South Building Outdoor Court. Athletes are trained in all aspects of the game, including stroke production, court craft and the rules of competition. The sport emphasizes values, such as fair play, sportsmanship and respect for fellow competitors. Special Olympics Tennis is conducted under ITF rules. 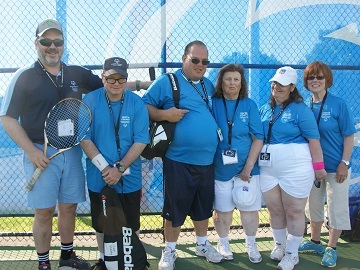 The Special Olympics rules for Tennis provide modifications to control the length of matches through no-add scoring and options for short sets. More recently, Special Olympics has introduced additional options for shorter courts and low-compression balls for athletes of lower ability.